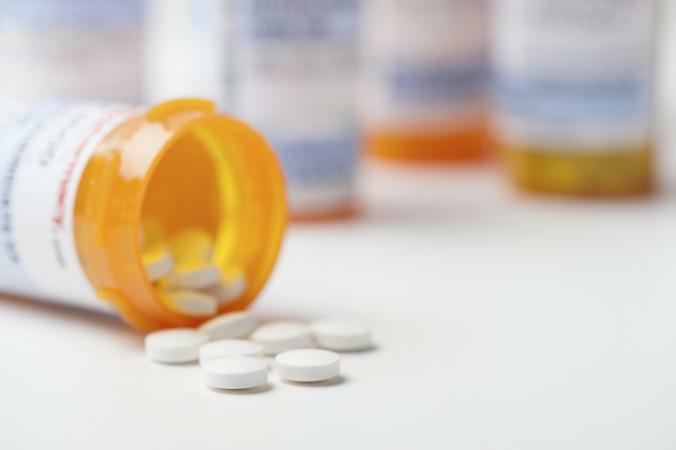 Knowing the connection between Synthroid, a thyroid medication, and vitamin D is important if Synthroid is on your list of prescribed medications. Taking this medicine properly is a must to ensure it works correctly, and vitamin D is an essential nutrient your body requires to function properly. There may be a correlation between the two and how they react with one another. Synthroid is a brand name of the medication levothyroxine used to help treat hypothyroidism, a medical condition that occurs when your body makes too little thyroid hormone. Thyroid hormone helps regulate your body's metabolism. Taking Synthroid, a synthetic form of human thyroid hormone, helps get thyroid levels back on track and normalizes your metabolism when you have hypothyroidism. Vitamin D is an essential fat-soluble vitamin your body requires to absorb calcium properly, maintain strong bones, and maximize immune function. The recommended dietary allowance (RDA) for vitamin D is 15 micrograms daily for most adults and children. Many Americans get too little vitamin D, which can be made in your body by being in the sun just 10 to 15 minutes three times per week, suggests MedlinePlus. You can also meet vitamin D requirements by eating vitamin D-rich foods or taking vitamin D supplements. More research is needed to determine how vitamin D interacts with Synthroid, but there does seem to be a connection between vitamin D deficiency and thyroid disease. One 2016 study published in the journal Hormones found vitamin D levels in the blood are associated with thyroid-stimulating hormone (TSH)--a hormone that helps the body produce more thyroid--and hypothyroidism. Another 2013 study found vitamin D levels were lower in people with hypothyroidism. A third study published in 2014 found that due to the correlation between vitamin D deficiency and thyroid disease, being deficient in vitamin D could play a role in the development of thyroid diseases. Does Vitamin D Increase Thyroid Levels? Because vitamin D deficiency may reduce thyroid function or play a role in the development of thyroid disease, taking a vitamin D supplements if you're deficient in vitamin D and have hypothyroidism could theoretically improve thyroid function, according to the Vitamin D Council. If this occurs while taking Synthroid and thyroid levels increase, your Synthroid dosage might have to be adjusted to keep thyroid levels within a normal range and prevent hyperthyroidism. However, more research is need in this realm. There aren't any warnings against taking both vitamin D and Synthroid, according to the Synthroid manufacturer's website, but you shouldn't take both at the same time. For Synthroid to work right and be absorbed properly, you must take it on an empty stomach with a glass of water 30 to 60 minutes before eating anything else. Likewise, the pharmaceutical company that makes Synthroid suggests you avoid taking vitamin supplements, including iron, multivitamin, or calcium, within four hours of taking Synthroid to maximize the medicine's effectiveness. If you're taking Synthroid for hypothyroidism, ask your doctor about which multivitamin supplement, if any, you should take and have your vitamin D levels monitored regularly to make sure you're not deficient in this essential nutrient. If your doctor recommends you take a vitamin D supplement or multivitamin supplement containing vitamin D, make sure to have your thyroid and thyroid-stimulating hormone (TSH) levels checked regularly, always take Synthroid as directed, and avoid taking supplements within four hours of taking Synthroid. While effects of vitamin D on Synthroid, and vice versa, aren't entirely clear, vitamin D may, indeed, affect thyroid levels while taking Synthroid. Therefore, it's important to see an endocrinologist for regular monitoring, especially when you're taking dietary supplements like vitamin D.